Nobody loves the beach like you love the beach. You have legitimately sold seashells by the seashore. You have seen The Little Mermaid no less than 25 times. You are Reggie Rocket in a world full of shoebies. And now that you’re getting married, you are determined to plan the sunniest, sandiest and most seashell-decorated wedding the coastline has ever seen. This includes stenciling monogrammed flip flops, stringing your own sand-dollar garlands and most importantly, creating a breathtaking beach themed candy buffet for your guests. That’s where we come in. Now, we may not be experts on marriage but as bulk candy wholesalers we do know a few things about sweets and one of the most important lessons we’ve learned over the years is that a great candy buffet requires great candy. You can’t just shove some blue gumballs into an apothecary jar and call it a day. You’ve got to lean into the theme like it’s a gnarly swell. For instance, here are five beach themed candy essentials that will help transform your buffet from a zero to a straight-out-of-Baywatch hero. You know what people love playing with on the beach? Beach balls. You know what does a great job as a filler candy at dessert buffets? That’s right – beach balls, aka Sassy Spheres. These fun striped balls aren’t going to be the star of the show but that’s why we love them. They’re a filler candy designed to reinforce your theme and take up space. Like a great backup dancer, they’ll make your spread seem larger and more impressive without distracting guests from your custom cupcakes or cookies or whatever. 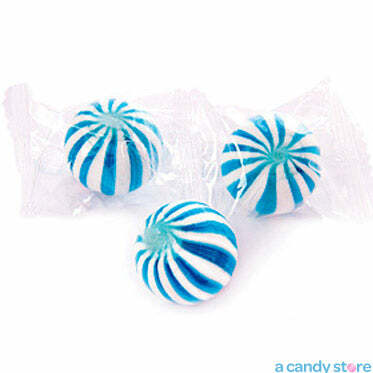 Order a couple pounds of these candy beach balls in your theme colors, stuff them in those massive apothecary jars you just had to have and forget about them. Listen, you can’t just feed people sea glass at your wedding. That’s the sort of thing sociopaths do and it will probably get you arrested. However, you can feed people sea glass candy. Like the name implies, this stuff looks exactly like those little chunks of glass you find washed up on the beach. That’s pretty awesome. What’s even cooler is that you don’t even have to buy it from a store. You can make it yourself out of sugar, corn syrup and food coloring. Just check out this recipe from Stitch a Wish Designs. 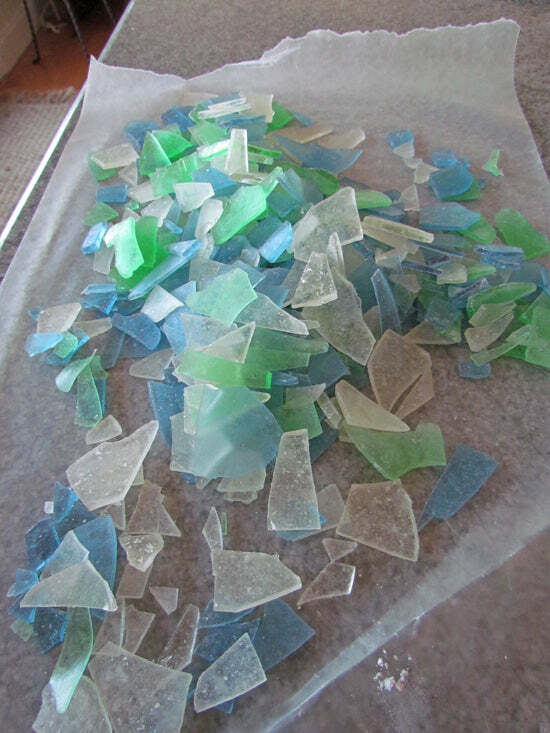 Make a few sheets of sea glass in your theme colors, smash them up and then serve those sweet, sweet shards at your beach themed candy buffet as a side attraction. 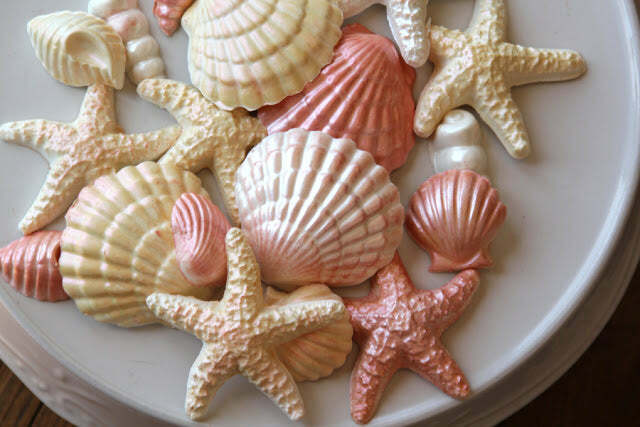 Nothing says beach themed whimsy like a metric ton of chocolate seashells. There are a lot of reasons to feature candy seashells at your wedding but the biggest is their versatility. You can use them as cupcake toppers, you can wrap them up and hand them out as favors in cute little themed candy buffet bags or you can just load them on a serving tray and feature them as part of your dessert table. While you can buy these shells from a variety of different stores, we think your pocketbook would be happier if you just made them yourself. All you need is a candy mold, some baker’s chocolate and a stove. Check out this cool article by The Girl Inspired for a complete set of instructions. Oysters make pearls. Pearls are worn at weddings. Oysters can be found on the beach. Do you see where we’re going with this? 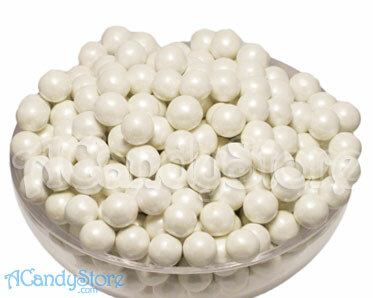 Let us elaborate – you should feature Pearl Sixlets as part of your candy buffet. Not only do these glimmering candies evoke both marital bliss and aquatic life, they’re also highly versatile. You can use them to decorate cookies or cupcakes or you can just dump them in a serving dish or apothecary jar. If you’re really clever, you could even serve them in a dish that looks like a clam shell. We know, we can’t believe that nobody thought of that already either. 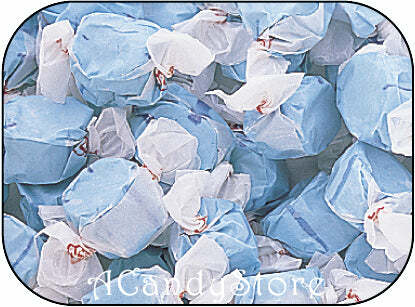 Rumor has it that salt water taffy was invented when a boardwalk candy maker’s shop was flooded during a storm. Rather than throw his ruined barrels of taffy away, the cheap jerk decided to sell the disaster to the public and the rest was history. Frankly, we don’t care how salt water taffy was invented. All we care about is that it is unequivocally the one type of candy that people most associate with the beach. There isn’t a boardwalk in this country that doesn’t feature at least a dozen different salt water taffy vendors hocking their wares on it. And consequently, your wedding dessert buffet had better feature it as well. It doesn’t matter if you think it’s gross. It doesn’t matter that one time a bad batch of the stuff made you puke on your high school class trip. If you’re going to get married at the beach then there absolutely must be a spot for salt water taffy at your dessert table. That’s all we have to say about that. So buy some, dump it in an apothecary jar and then shut up and enjoy your wedding day. 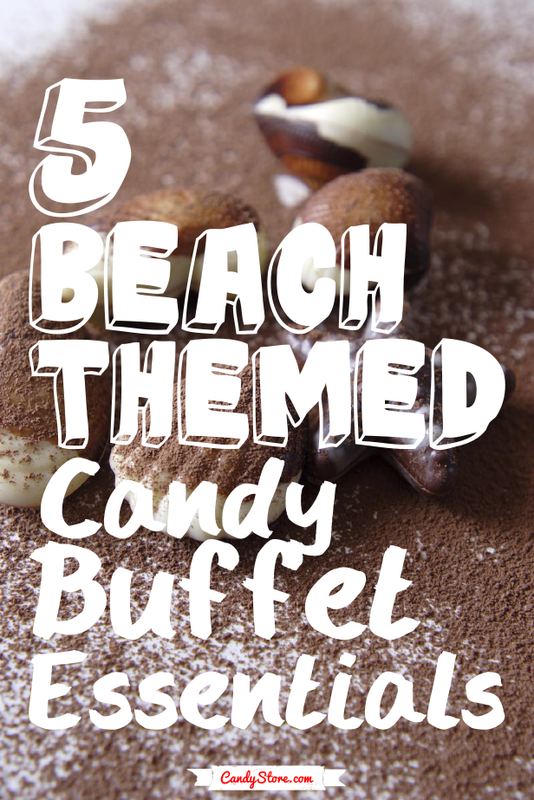 One thing every great beach themed candy buffet has in common is a focus on the fundamentals. It doesn’t matter how you decorate your table, what kind of serving jars you use, what labels you make or what fancy cupcakes or cookies you feature. As long as you fill in the gaps with these five beach themed candy essentials then your spread is sure to be a success. Did you host an awesome beach themed candy buffet recently? Send us pictures! We’d love to see what you came up with and we might even feature your reception in a blog post. Otherwise, check back next week for even more great candy tips, tutorials and recipes.